Since the dawn of the human civilization, non-verbal communication has been a pervasive phenomenon. With the advancement of technology, this natural interaction blended with computing facility turned into a scientific tangible interaction. Computer-aided non-verbal communication can be used as a vital interface between computers and specific areas of modern life like human psychology such as emotions, social attitudes, and even for educational games. Investigative, design-focused studies have shown that TUIs provide learning aids due to the added haptic dimension and the better approachability to the shared space that can be used in supportive circumstances. 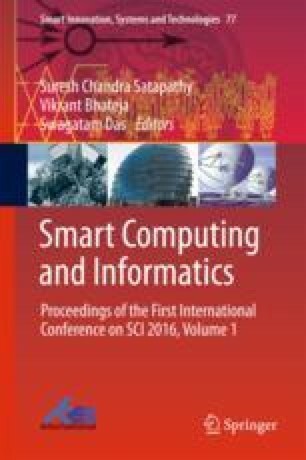 In this paper, a tangible user interface has been proposed comprising of several tablets/smartphones connected to a single server. This system would help out the teachers to attain feedback (whether the students are able to understand what the teacher is trying to convey. If yes up to what level) from the students in an elementary classroom. The experiments conducted with the prototype have shown significant interaction improvements among the children and the teachers in the classroom sessions. The experiments on modeling and improving the prototype are going on to improvise the interaction specially for mobile devices and tablets.